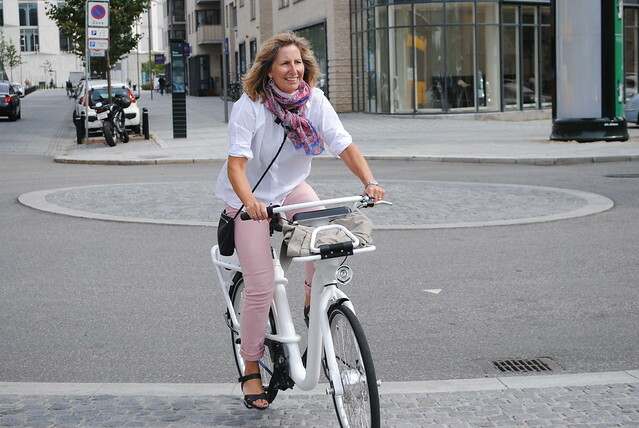 Introducing Copenhagen's new initiative Gobike. 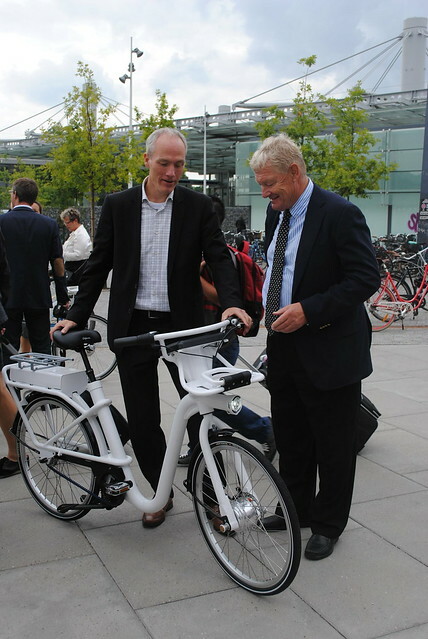 The new generation of share-bicycles is to be trialled as the 'missing link' in the Danish public transport system. The share scheme is open to tourists, companies and citizens but mainly targets on those coming into the city from the suburbs. 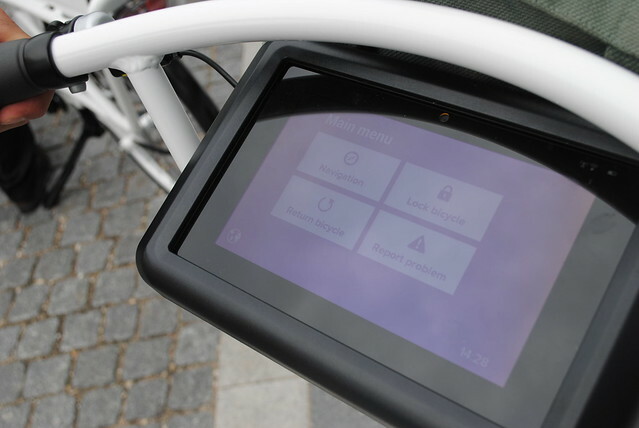 The bicycle itself has an integrated touch-screen with navigational routes and a locking system. Apps on any android phone will allow the bicycle to be reserved and whilst on the bicycle you can even buy train tickets. 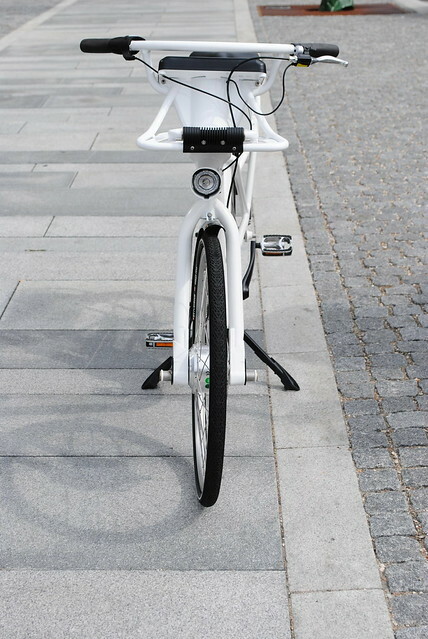 The design behind the share bicycle ensures that cycling will remain the most convenient way to commute. 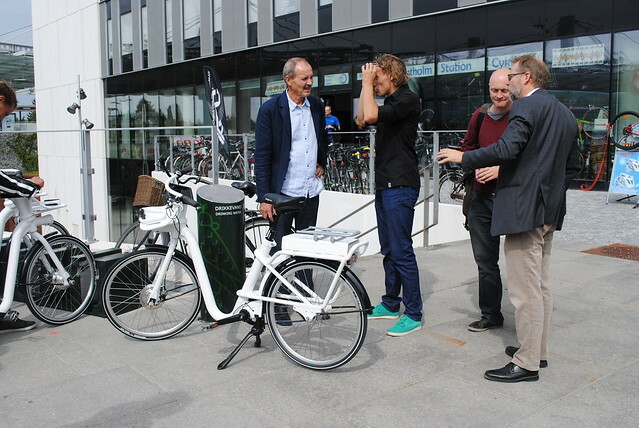 At the launch there was much hype surrounding the reveal of the new share-bicycle. 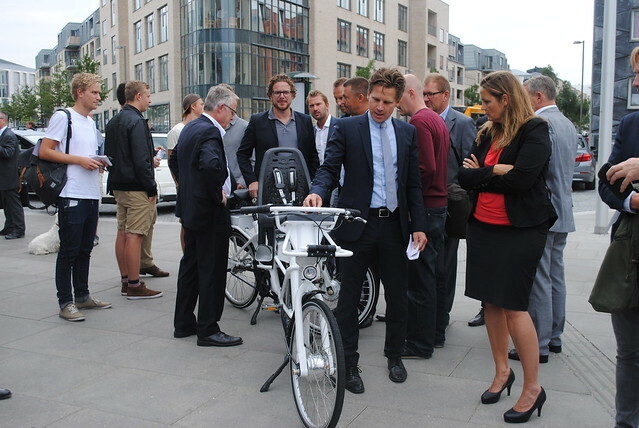 Danish politicians came down to the launch to check out the bike and to have a quick go. 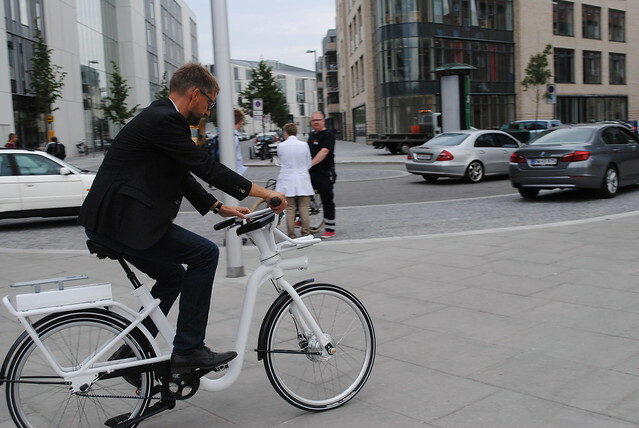 The bike itself was pretty heavy so it'll be interesting to see whether this will deter citizens from using them on a daily basis. 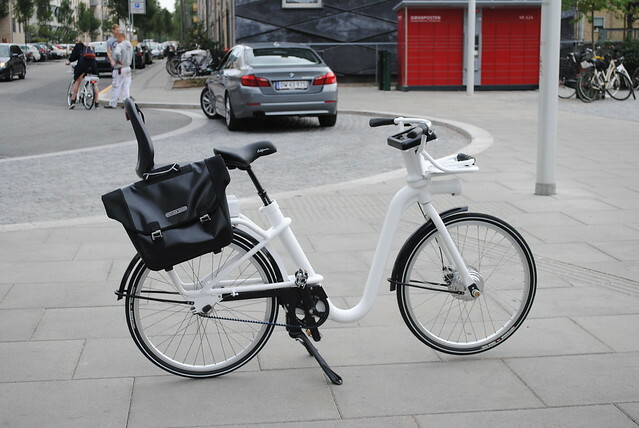 Over at Copenhagenize.com, there is a great deal of scepticism about these bikes. Can you just jump on? Well...some bicycles may be reserved by commuters coming into the city but Gobike has GPS on all bicycles and will ensure that there are available bicycles at all docking stations. The idea is that the availability of bicycles at your local docking station can be found out via the Gobike App. 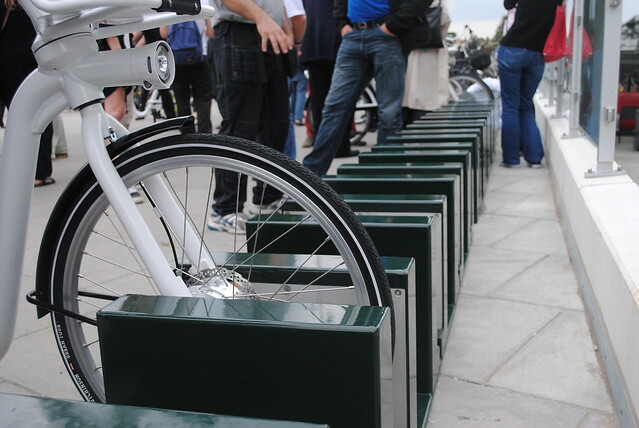 With the integrated technology in this generation of share-bicycles Gobike has designed this share scheme with the aim of becoming a smooth link in the city's public transport. Yes, they have indeed thought of everything...there's place to hold your briefcase and your infant! It shall be interesting to see whether these features will attract citizens to make use of them. You Danes always have great design. Best looking bike-share around. Nice Bike, but i see only one issue. 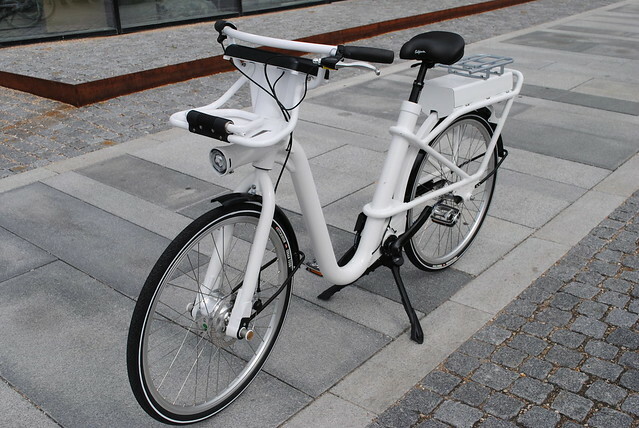 The frontlight should be mounted on the fork or handle bar. So you can see where yor're going in bends and curves.